The MAX31820 is code compatible with the DS18B20 sensor. Keep in mind that the MAX31820 is a 3.3 volt part where the DS18B20 is a 5 volt part. You can use both on the same bus at 3.3 volts though. bildr.org also has a good tutorial at this link. Thanks @Brad10 for your comment on how to use the Libraries for this Sensor. I was getting worried since I couldnÂ´t find any information on how to use it with ESP8266. If you're trying to link this to an Arduino, it looks like you're going to need some sort of a line-level converter since the Analog lines on the Arduino are still 5V. 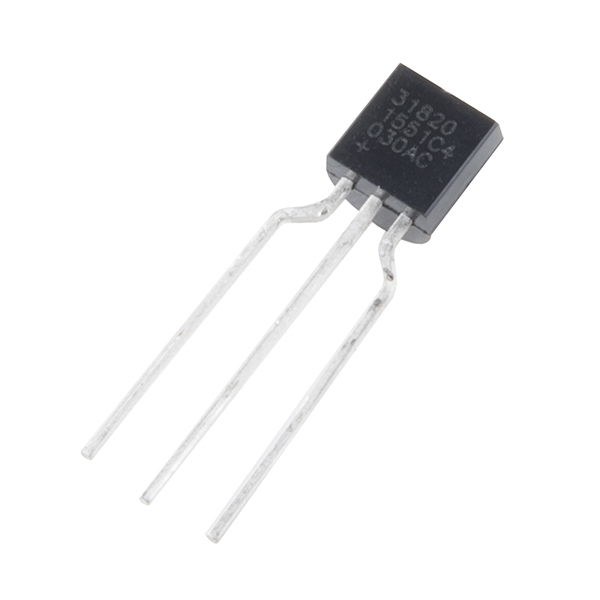 Yes, there is a 3.3V rail, but it's a voltage source. 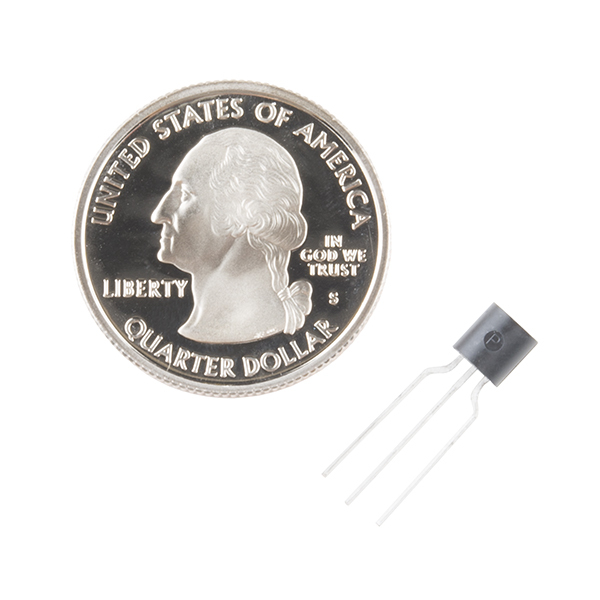 SparkFun does offer this line level voltage converter. However, it's not linked to this product at all (from what I can tell). I've heard people say on the internet that you can use a converter/inverter circuit with two transistors, but the MOSFET is bidirectional. With the right libraries, it's easy to use. There are Arduino libraries that make this almost trivial to talk to (see my note in the Comments section for links). So far, it's working great for my work-in-progress water tank depth project. I like this part because it's designed for situations where there is a long cable between the processor and the temperature sensor. Think home temperature monitoring and control, gardening, monitoring equipment for overheating, etc.